For Honor Marching Fire: Perks - Explained! With Marching Fire, we’ll be replacing Gear Stats from the game with a brand new system: Perks. But what ARE Perks? How do you obtain them and use them? Well read on, Warrior, as we dive into the new system. Perks are an entirely new system that will fully replace Gear Stats, arriving with Marching Fire. Similarly to the Gear Stats system, perks will be assigned to pieces of equipment. Each Perk provides a passive in-game effect when activated with the right gear combination. Different perks can be combined in different ways, and the effects are always consistent (i.e. no % chance or arbitrary increase in stats, one flat bonus). As with Gear Stats, Perks can also be disabled in certain playlists and in custom matches. Each piece of gear will give you an amount of points towards one or two perks. Once you’ve reached the required number of points for a perk by equipping enough gear of that type, the perk is activated. If the equipped gear gives less points than the minimum required for a perk, it will not activate. Going over the minimum number of points will not make the perk stronger. How many Perks can I use at once? All perks can be combined in pairs, but some perk combinations are available in trios at the highest rarities. Default gear can activate one perk. How many Perks are there? 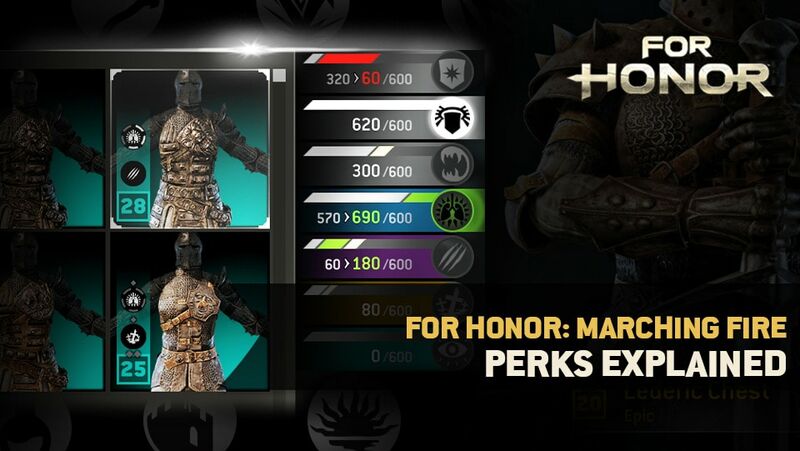 When Marching Fire launches there will be 21 perks available in the game. 7 offensive perks, 7 defensive perks and 7 assist perks. Each Hero will have access to a pre-determined set of 7 perks, which may be a mixture of two categories. Note that Perk A to G refers to the vertical order that Perks have in the gear selection screen. The possible combinations are the same for all heroes, but each Perk letter represents changes. The following combinations are maximized combinations, but of course you could have non-optimal combinations or even combinations that activate no perks at all. What will happen to my current gear? Current gear will be converted over to the new perk system by keeping the equivalent gear score and upgrade level. Visuals will be completely unaffected, so you can keep your fashion and enjoy the new perks! Unequipped gear from your inventory will receive random perks available for their rarity and upgrade level. Refine level 1 will now also have 2 diamonds (instead of 1), and Refine level 2 will now have 4 (instead of 2). That’s Perks in a nutshell! You’ll also get 5 Scavenger Crates upon logging in to give you a chance to grab some more perks from the get go! 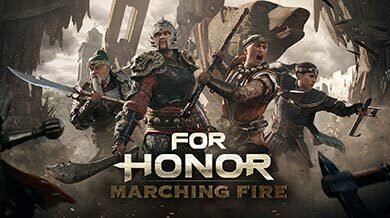 For more details on specifics such as perk combinations and rarity levels, check out our Marching Fire Patch Notes. See you on the battlefield, Warriors!